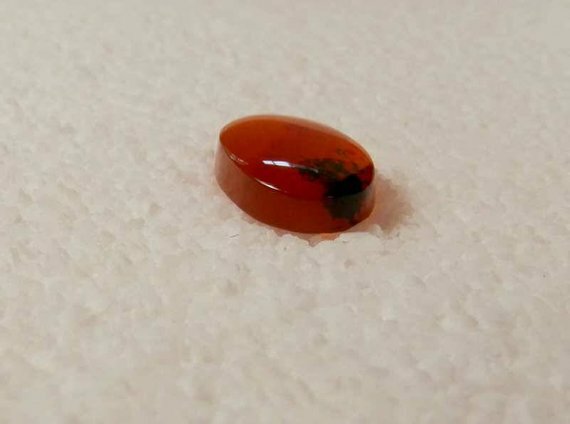 Oregon Fire Opal Designer Cabochon Hand Cut Elliptical Cab Oregon Fire Opal Cabochon. 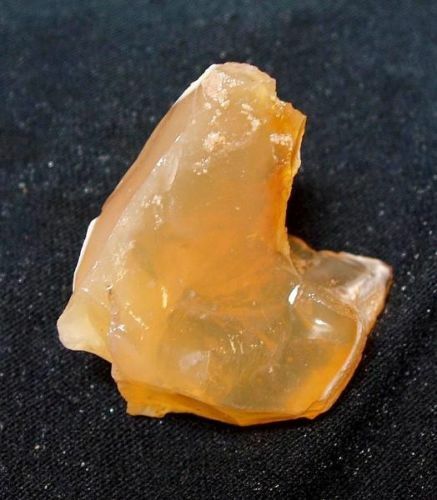 It takes about 8 years to allow Oregon opal to naturally stabilize and we are always willing to wait for the stone to work it's magic. 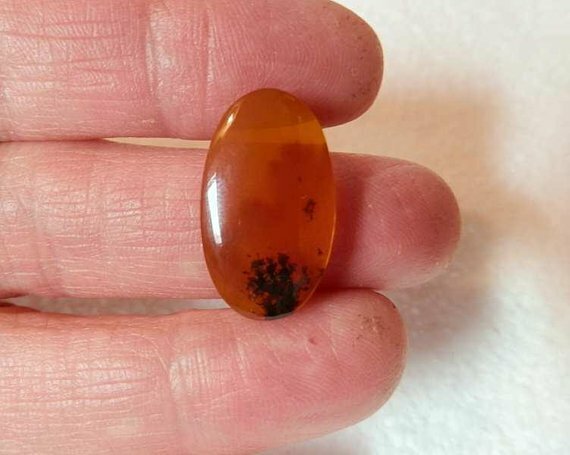 Ken dug this opal in 2003 and is just now cutting it. 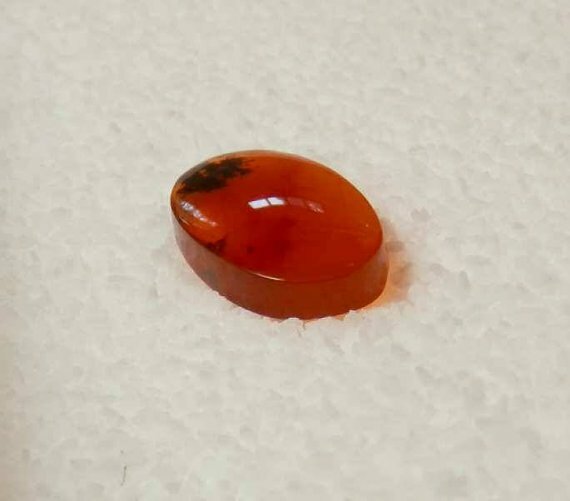 Juniper Ridge Fire Opal is a water clear intensely colored yellow to deep cherry facet grade opal and, with beautiful dendrites it makes outstanding designer cabochons for your high end designs. Beautiful! 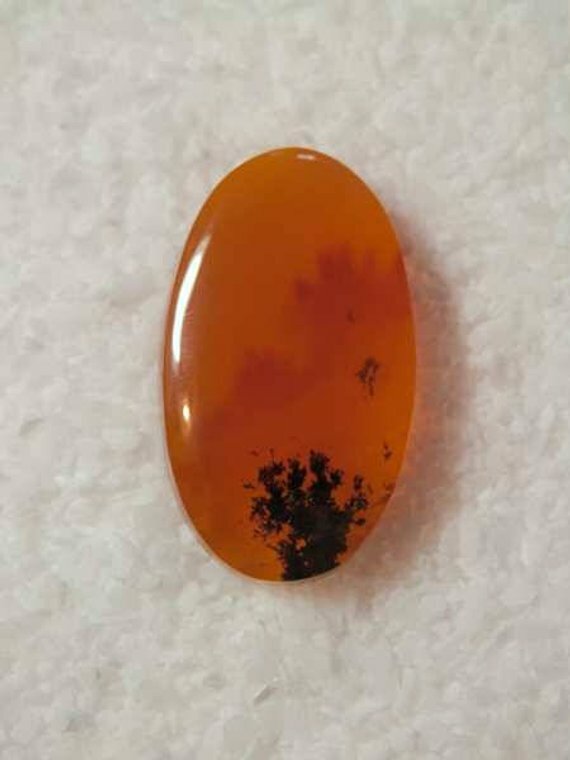 This elliptical oval cab with perfectly placed dendrites measures 23mm x 13mm x 5mm and weighs approx. 11.65 cts. Thank you for looking and as always, buy with confidence!